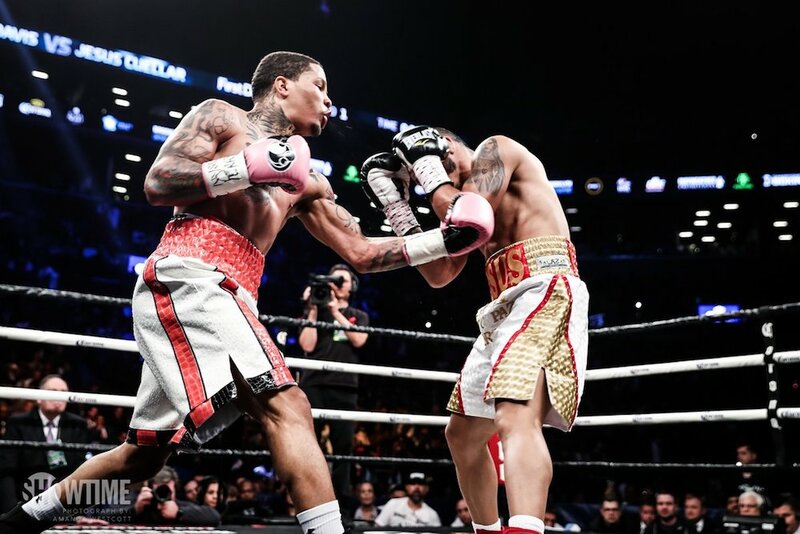 WBA super featherweight titlist Gervonta Davis (21-0, 20 KOs) needed less than 3 minutes to blitz the smaller Hugo Ruiz (39-5, 33 KOs) into a bloody mess and force an early stoppage in the Showtime Championship Boxing main event. Ruiz, a late replacement for Abner Mares, had jumped two weight classes from where he was fighting in 2018 to get the fight with Davis. In the end, the heavy-handed native of Baltimore unleashed an onslaught on a game but overmatched opponent from the sold-out Dignity Health Sports Park in Carson, California. 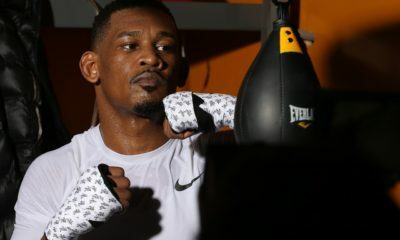 Davis, who had some trouble making the 130 lb limit – a problem that has plagued his career – ultimately outweighed his opponent by over 10 lbs when they stepped into the ring and it showed. Ruiz had won titles at bantamweight but was not meant for this weight class – nor was it beneficial that his last fight was in January on the Pacquiao/Broner undercard. Davis stalked Ruiz around the ring blitzing him with left hands and shook off counter rights from Ruiz. Then, towards the end of the first round with Ruiz trapped in the corner, Davis unloaded a big right hand which shattered the nose of Ruiz. Ruiz, bleeding profusely, arose to his feet but the fight was called to a halt as Ruiz was clearly dazed and in pain. With Ruiz out of the way, it will be interesting to see if they attempt to remake the Davis/Mares fight – if Mares can recover from his detached retina injury. The strike against that clash, beyond the Mares injury, is the fact that Davis is likely needing to go to lightweight as he has outgrown the confines of the 130 lb division. Promoter Floyd Mayweather and Advisor Al Haymon have expressed a belief that Davis will be boxing’s next big superstar. As such, a more high-profile fight is likely in the near-term. Junior welterweight contender Mario Barrios (23-0, 14 KOs) inched further to a title shot by stopping Mexico’s Richard Zamora (19-3, 12 KOs) in the fourth round of their clash. It was an entertaining affair that was, perhaps, stopped too quickly. Barrios’ physical advantages were quickly on display as he used his larger frame and stature to control the early round with double jabs and left hooks. By the second round, Zamora started to open up with counter hooks of his own and the fight began to get interesting as the two traded punches. Zamora may have even stolen the third round from the San Antonio native with several big left hooks. Barrios, however, came alive in the fourth and stunned Zamora with a stunning array of uppercuts, left hooks and body punches. Zamora was fighting back through it all but it was obvious that Barrios was dishing out the punishment. Towards the latter portion of the round, the referee felt he had seen enough to stop the fight despite the lack of a knockdown. The crowd in Carson, California booed at what they felt was an early stoppage but Barrios certainly was establishing his dominance in the fight. Barrios is the #1 contender for a WBA junior welterweight title shot against Kyril Relikh. However, trainer Virgil Hunter has expressed a desire for Barrios to get another fight or two under his wings before going after a title. ightweight contender Javier Fortuna (34-2-1, 23 KOs) gutted out a victory over Uganda’s Sharif Bogere (32-2, 20 KOs) in an awkward tilt that mixed plenty of head butts with momentum swings. 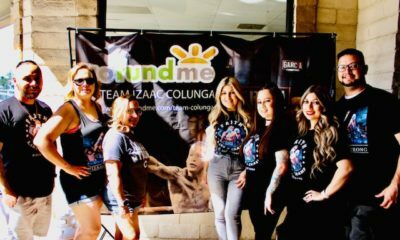 Ultimately, Fortuna – a former two-division titlist – was able to earn the unanimous decision with the judges turning in identical 96-93 scorecards. It was Fortuna’s first victory since 2017 after suffering a 2018 marred by a controversial loss to Robert Easter and a freak ring accident in his comeback bout. Fortuna opened the clash showing his superior speed and accuracy by successfully hitting Bogere with counters as Bogere plodded inside. The chemistry of a southpaw and orthodox fighter would also result in multiple head clashes as the men attacked – eventually leading to a bad cut over the right eye of Bogere. The Ugandan had glimpses of success against Fortuna and was ahead on the scorecards by the mid-way point of the fight. However, Fortuna notched a debatable knockdown in the sixth round which seemed to be enough to steal the momentum of the fight and build up the lead he would need to earn the victory. Fortuna, a frequent participant on Al Haymon PBC cards, appears a likely opponent for either Robert Easter or Gervonta Davis in the near-term.